The Iowa 80 Group owned truck service centers are now offering drivers an oil change guarantee. Professional drivers are now guaranteed that their truck oil change will be completed within 40 minutes from the time they pull into the service bay. If not, then the driver will receive a $40.00 credit. “We understand the time constraints drivers are under. We want them to be confident that when they pull their truck into one of our oil change bays, their truck will be serviced quickly so they can get back on the road,” says Tom Houston, Service Center Operations Manager. 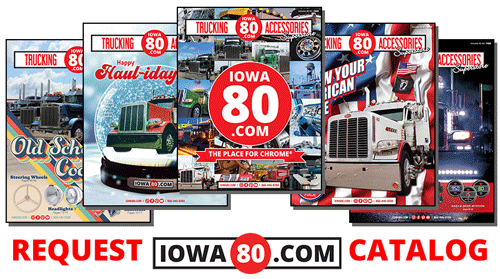 The guarantee is offered at all four Iowa 80 Group truck service centers, where complete details can be found. These include: Iowa 80 TA Truckstop, Walcott, Iowa; Kenly 95 Petro, Joplin, Missouri; Oak Grove 70 Petro, Oak Grove, Missouri and Kenly 95 Petro, Kenly, North Carolina.